Sometimes in the harsh glare of deadlines, or the realities of budgets we can feel defeated. But there is always something we can still do. Carrying on and concluding our mission is most important. Even if a weed no longer looks attractive or vigorous or viable. Defeat is not an option. 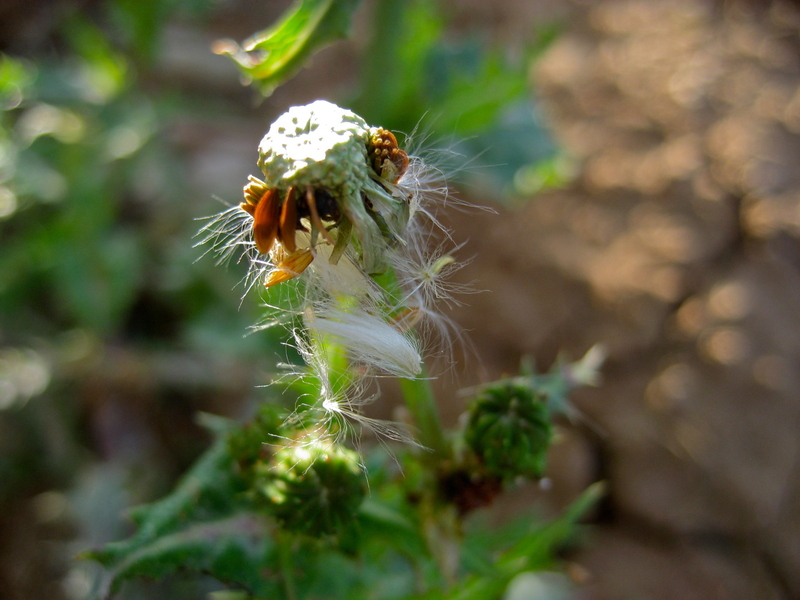 This weed cares not that the harsh sunlight glares down upon it. The remaining seeds it harbors are promises of new life, new opportunities. So this weed still hangs on with full intentions of delivering them all to the world. More power to you, weed! That is one inspirational weed. Thank you for posting this!